Avoid the high cost of long-haul LTL shipments with Weber’s pool distribution services. 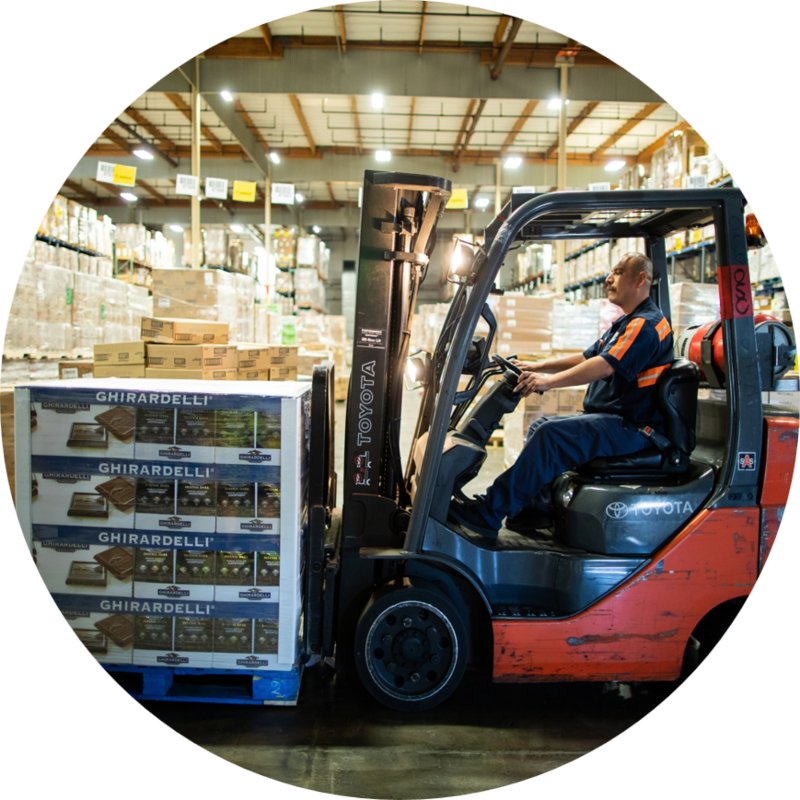 Ship full truckloads from the East and Weber will receive and sort products by consignee and handle final delivery to West Region retailers. Fast. Instead of making multiple stops as it travels through the LTL terminal network, Weber ships your product direct to the destination region – reducing distribution time by up to 4 days. Unique. Weber is the only time-defined, asset-based, temperature-controlled LTL carrier in the Western Region. Driven by RAD dates. Weber can receive product from your suppliers and build daily loads for stores, working with the retailer to coordinate delivery times and meet RAD dates. For multiple candy manufacturers, Weber receives truckload shipments of products from Midwest and East Coast plants to one of Weber's West Coast warehouses. From there, we sort products by order and make final deliveries. Cut freight costs 8% to 10% by leveraging the economies of TL shipments and cost-sharing across pool participants. Ease your administrative burden by avoiding the time-consuming tasks of identifying, vetting and managing multiple LTL carriers. It’s far easier to work with a pool distribution partner like Weber, which has established carrier relationships. Maintain temperature integrity. Your products can be received at a temperature-controlled, food grade warehouse and delivered using Weber's fleet of refrigerated trailers. Reduce carbon emissions. Whenever you combine freight to create fewer, fuller loads, you take trucks off the road. You can then calculate these carbon reductions and include them in your environmental progress reports. Reduce damage. The less touches in transit, the less damage. A pool shipment should result in a minimum of 2 less touches per trip compared to LTL.